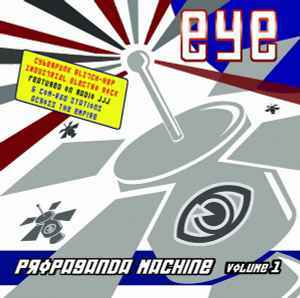 Album of EYE music composed between 1995 to 2003. During that period versions of most tracks were released on CD EPs and various artist compilations. The tracks were reworked during 2001-2003 for "Propaganda Machine" which was initially planned to be a double album, to be released in mid-2003. However, the release was postponed. It was released on CDr in 2009 via the Blatant Propaganda label. This "volume 1" set was released online - via bandcamp (see www.EYE.audio) - in a variety of formats in 2011.